Powerflush Leicester are Specialists in Central Heating Power Flushing. 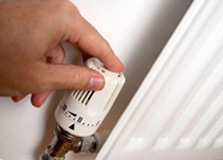 We provide a Fast and reliable Radiator and Central Heating Power Flushing service across the Leicester, Beaumont Leys, Evington, Belgrave, Wigston, Narborough, Netherhall, Oadby, Aylestone and surrounding Leicestershire areas. 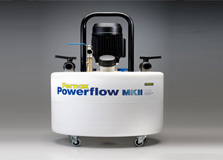 At Power Flushing Leicester our engineers and plumbers are Gas Safe Registered (the replacement of CORGI register) and fully trained to carry out the job with the latest and up to date equipment and the best quality chemicals that that are available on the market. By breathing new life into old radiators or central heating systems the costs and inconvenience of a replacement central heating system or radiators can be avoided therefore increasing central heating efficiency and reducing costs. We can undertake central heating powerflushing work for customers who have British Gas, Homeserve or Eon Insurance, breakdown, service or repair Policies which do not cover you for a central heating powerflush at a more competitive and cheaper price. So to learn more about Radiator and Central Heating Power Flushing in Leicester and its symptoms and remedies please read/browse our website. Our engineers and plumbers are fully trained and experts in working with most Boiler manufactures including Ideal combi condensing boilers, Baxi combi condensing boilers, Vailant combi condensing boilers, Worcester combi condensing boilers, Greenstar combi condensing boilers, Ideal Isar combi condensing boilers, Ideal Icos combi condensing boiler, Potterton combi condensing boilers and Glow worm combi condensing boilers Including all makes of conventional boilers and heating systems. Power Flushing your central heating system will remove debris and guarantee the efficient operation of your system, saving on your household bills too. Power Flushing your central heating provides long term protection. At Power Flushing Leicester we are a highly regarded specialist company whose engineers and plumbers are gas safe registered and experts at clearing blockages and cleaning rust, sludge and lime scale debris out of domestic and commercial systems. 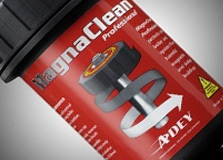 To improve the life of your central heating system. 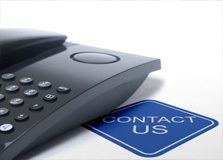 We also offer additional central heating safety and add on services. These extra services can be carried out during the power flush on your central heating system. Saving you more Time and Money! "Thanks. The central heating works much better after the power flushing You were right all the noise has gone."